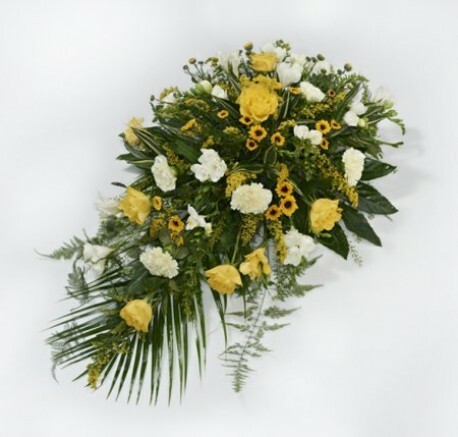 Traditional single ended spray in oasis in yellow and white flowers, suitable as a funeral tribute or rememberance tribute. The colours may be altered to suit your requirements and must be notified at the time or ordering. Alternatively please contact Flowerscene on 01224 712596 if you wish to discuss colour change or require advice.